(Updated at 6:10 p.m.) D.C. police and Virginia State Police chased a stolen D.C. Housing Authority Police car down I-395 in heavy rush hour traffic Tuesday night. Initial reports suggest a woman wanted for crack cocaine-related drug charges stole the police car in D.C. and then drove it onto I-395 in the direction of Virginia. 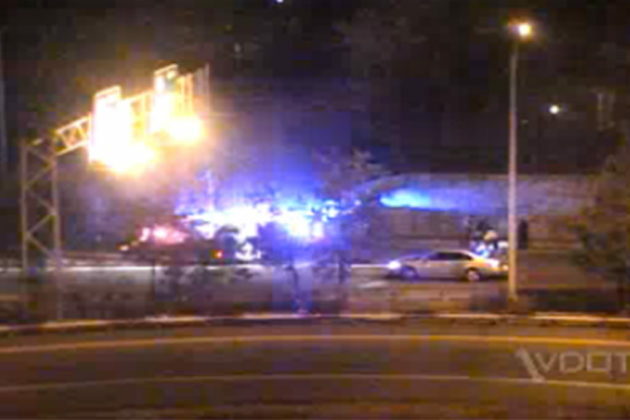 The chase entered Arlington via the 14th Street Bridge around 5:30 p.m.
Arlington County Police did not engage in the pursuit, per department rules, according to scanner traffic. 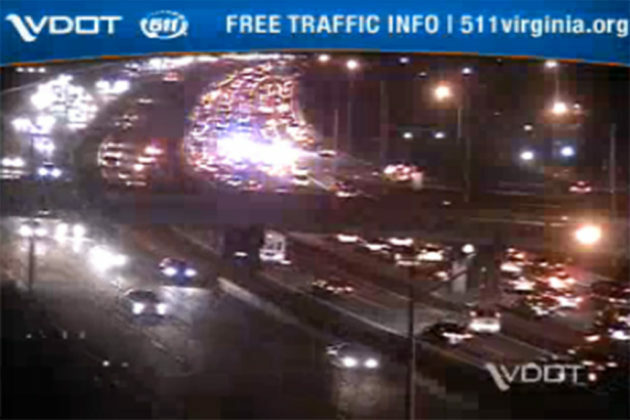 A police helicopter was overhead, shining a spotlight down on the stolen car, as it continued to slowly make its way down traffic-clogged I-395. At least one multi-vehicle crash, near Washington Blvd, was reported during the pursuit. 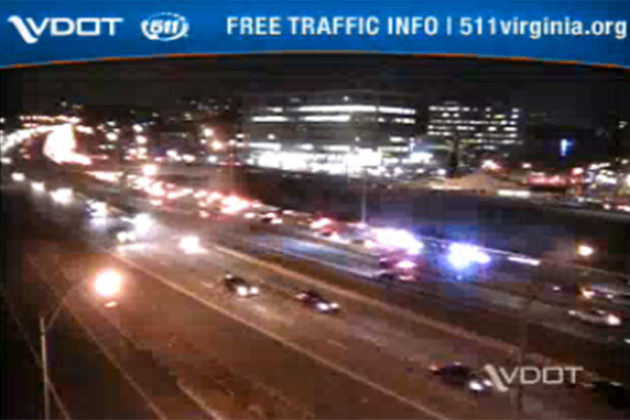 Ultimately the suspect took the King Street exit into the City of Alexandria — going the wrong-way down the ramp, according to scanner traffic — and was boxed in by police. The woman, who was reported to be pregnant, was quickly taken into custody. She was evaluated by medics for possible injuries. Drivers should expect road and ramp closures on King Street at I-395. Numerous emergency vehicles remain on the scene as of 6:10 p.m. The Virginia State Police have charged Jessica M. Pierce, 26, of Stafford, Va., with one felony count of eluding police, one felony count of unauthorized use of a vehicle, one felony count of grand larceny, reckless driving and one misdemeanor count of giving false identification to law enforcement. The charges resulted from Pierce’s crash in the City of Alexandria. 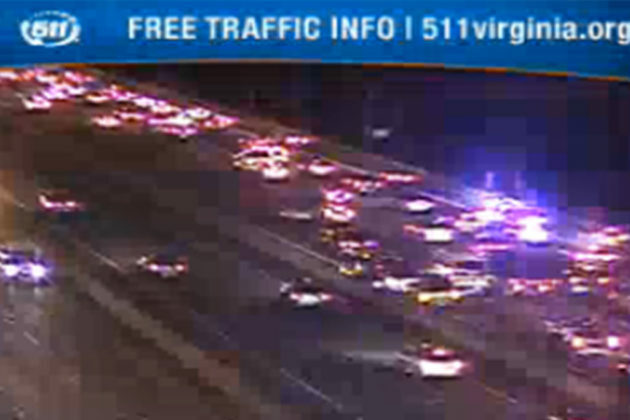 Virginia State Police were assisting the Metropolitan-DC Police Department with a pursuit that entered Virginia on Interstate 395, when the suspect vehicle – a Ford Explorer – crashed in Alexandria Tuesday evening (Dec. 13). 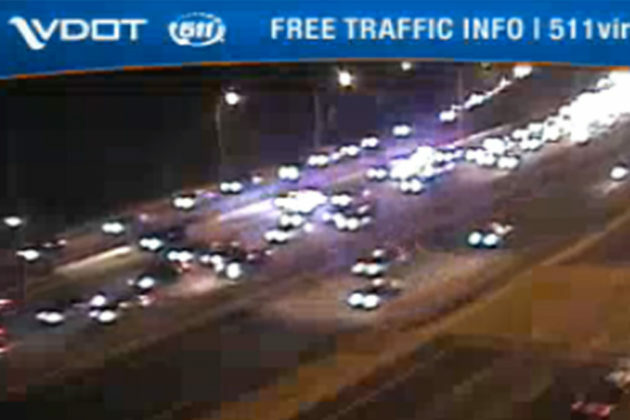 At approximately 5:35 p.m., as the Ford Explorer was taking the ramp from westbound King Street to northbound I-395, the Explorer rammed a marked Metro PD police cruiser involved in the pursuit. The Metro PD officer was then able to pin the suspect vehicle against the Jersey wall. The suspect driver, Pierce, was taken into custody without further incident and transported to Fairfax Inova Hospital for treatment of non-life threatening injuries. No police officers were injured in the crash. No other vehicles were involved in this crash. 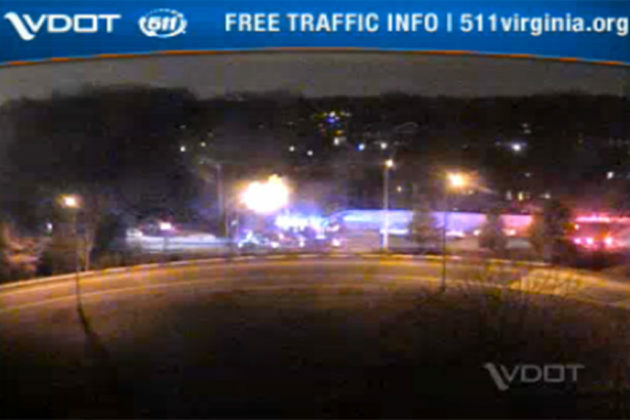 The Virginia State Police is investigating the crash. The Ford Explorer belonged to the DC Housing Authority Police Department.